Have you considered adding an automated pool cover? Ready to enjoy your Maryland pool this summer? The best way to beat the heat and spend time with family and friends is taking a dip! However, if you don’t have an automated pool cover for your Maryland pool, you are missing out on major safety benefits and more. 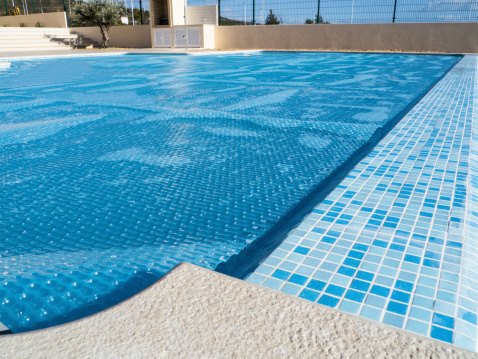 What are some of the many advantages of an automated pool cover? Safety is the biggest benefit of an automated pool cover. You will still need to keep an eye on your pool, but an automated pool cover will always be over keeping your pool safe when you aren’t. An automated pool cover will be able to deter children and pets from taking a dip, and it will even keep neighborhood animals and wildlife from entering the pool and drowning. Since accidental drowning in family pools is still a major cause of death for young children and pets, this reason is especially important. You will reduce water evaporation loss up to an amazing 90%! Last but not least, automated pool covers are incredibly convenient. You never need to worry about forgetting to put your pool cover on or losing tons of money into chemicals that just evaporate anyway. Automated pool covers help to protect the investment that you made in your Maryland pool. This entry was posted on Friday, May 26th, 2017 at 1:27 pm. Both comments and pings are currently closed.